When you think of destination weddings you probably picture an exotic location with crystal clear waters and palm trees gently swaying in the breeze; perhaps Fiji or the pink sand beaches of Bermuda. Unfortunately, a destination wedding in an international location means difficult travel arrangements that are often hard to squeeze into a budget not to mention the budget of your guests and wedding party in addition to sometimes challenging legal requirements. What sounded like a fantastic idea just got quite a bit more stressful. 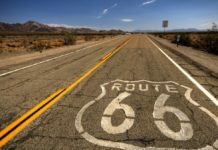 Instead, you might consider traveling a little closer to home. 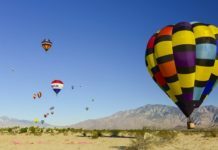 Domestic travel is less of a hassle and more cost-effective. 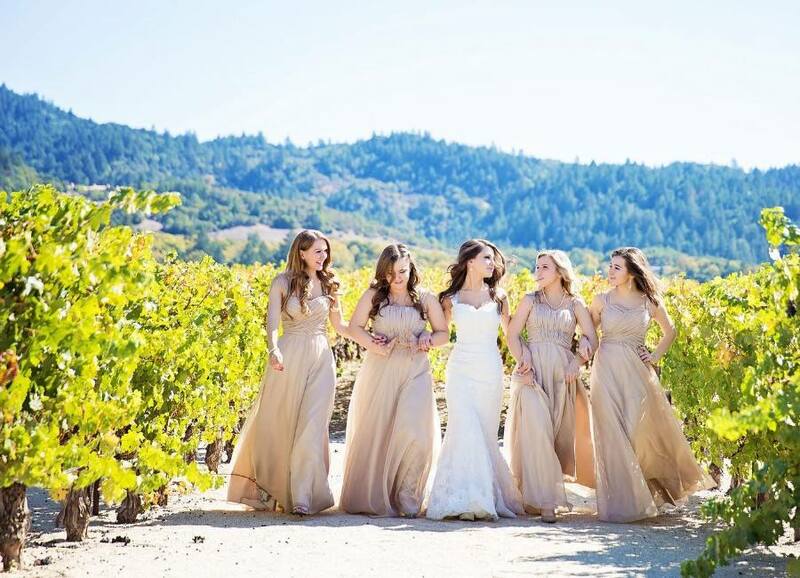 Northern California offers many dramatic landscapes that are perfect for a scenic outdoor wedding from romantic vineyards to a magnificent coastline, spectacular mountain tops with panoramic views and more. 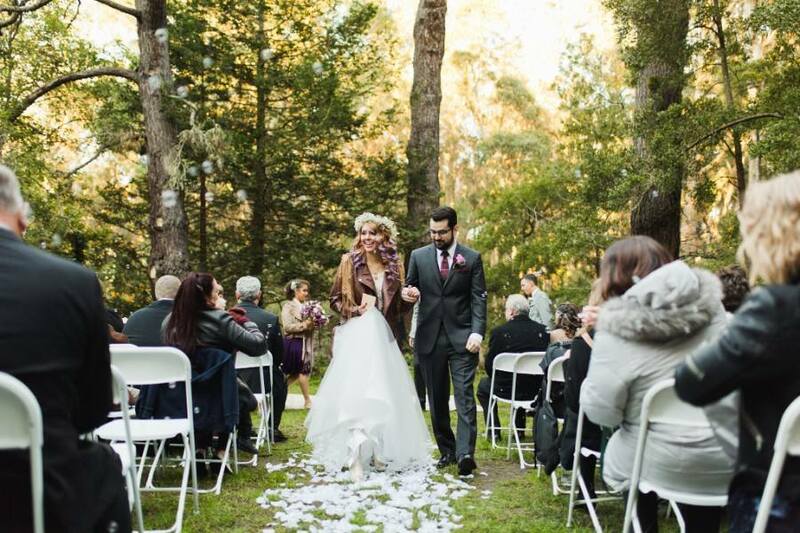 Here is a look at four of the most beautiful Northern California destinations for an outdoor wedding. The Queen Wilhemina Tulip Garden in Golden Gate Park offers a brilliant rainbow of colors surrounding an authentic Dutch windmill during late winter and early spring and offers a fairy-tale like setting for your ceremony. The Pacific Ocean is just west of the park delivering a slight breeze making the tulips appear to dance, creating an especially spectacular scene. Other wonderful choices in the park include the Rose Garden, Fuschia Garden and the Chain’ of Lakes. For information and availability throughout the park, contact San Francisco Recreation & Parks. About four hours north of the City by the Bay along the California coast, you’ll find one of the most beautiful towns in the entire state, Mendocino. This picturesque Victorian village is set atop the cliffs overlooking the breaking waves below, offering many wonderful choices for a romantic stay. Just north up the highway, is Mendocino Coast Botanical Gardens, opened all year long and filled with a wide variety of flowers that lead to a bluff just above the dazzling waters of the Pacific. 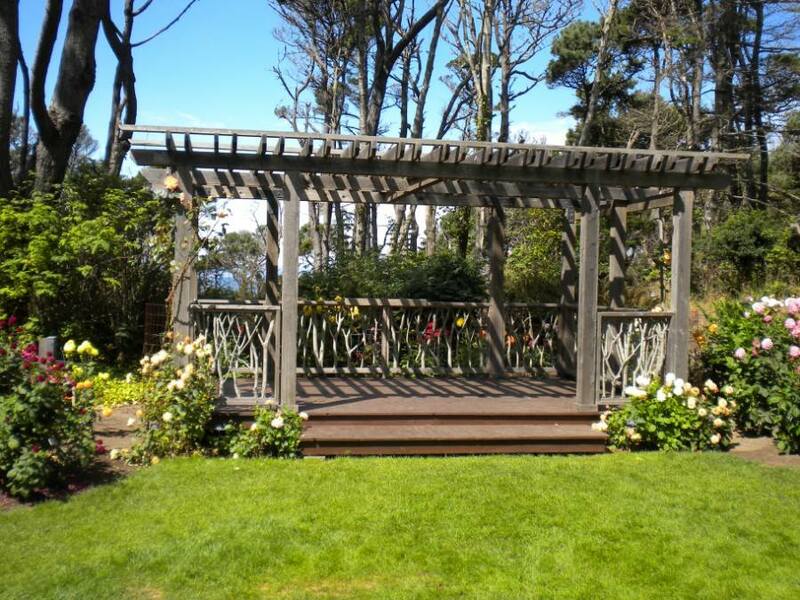 The ceremony can take place at its edge or within the many garden areas. If you’ve dreamed of marrying in a Tuscan-like setting, Viansa Winery in Sonoma offers a chance to become surrounded by vineyards and olive trees. 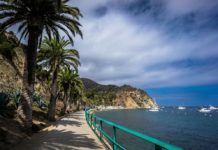 Located just an hour north of San Francisco, this highly acclaimed site has received awards like the 2012 “The Knot Best of Weddings,” and a four-time winner of Wedding Wire Bride’s Choice Awards. Read your vows on a hilltop with panoramic views of Sonoma Valley, the romantic Tuscan courtyard or the lush, rolling hills of the vineyard. After the ceremony, the wedding party and guests are escorted to a candlelit wine cellar to enjoy a celebration of the newlyweds.